SHADOW REALMS Forums-viewtopic-[TCG] 22/08/2018: 2018 Mega-Tins-update!! www.shadowrealms.com.br Exibir tópico - [TCG] 22/08/2018: 2018 Mega-Tins-update!! Enviada: Fri Apr 06, 2018 8:47 pm Assunto: [TCG] 22/08/2018: 2018 Mega-Tins-update!! The 2018 Mega-Tins bring the heat this Summer with some of the past year’s most popular cards AND brand-new cards designed specifically for these Tins! 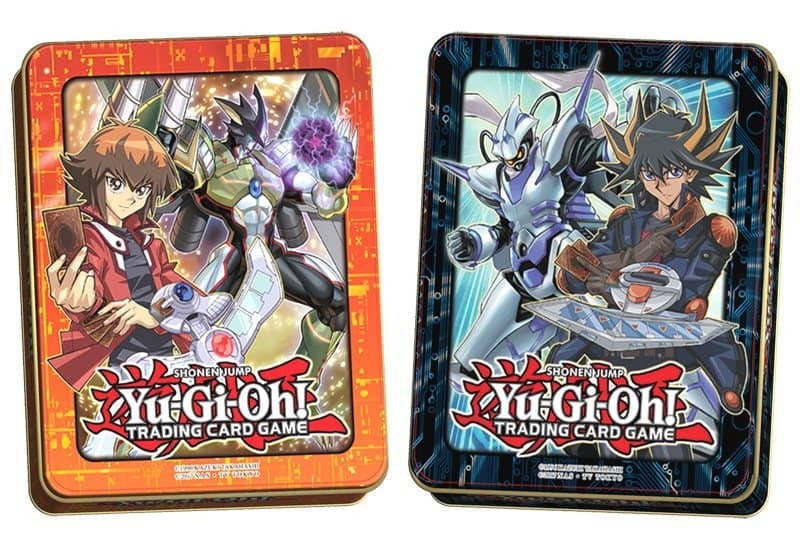 Each Tin includes three 16-card Mega-Packs containing cards from Maximum Crisis, Code of the Duelist, Circuit Break, and Extreme Force. These Mega-Packs use the traditional “1 card of each foil rarity” plus a Rare and 12 Commons configuration native to the Mega-Tins, and all cards appearing in the Mega-Packs will be included in their original booster set rarity.